Push notifications allow users to opt-in to receive updates to mobile and web applications. 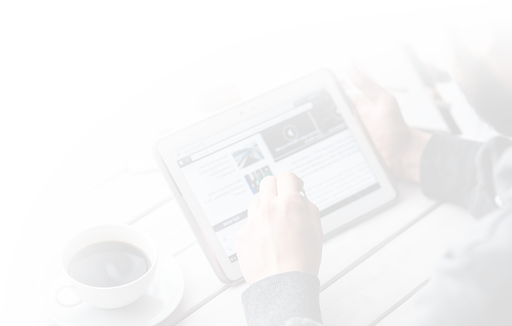 They also enable users to re-engage with existing applications using customized and relevant content. Django-Webpush is a package that enables developers to integrate and send web push notifications in Django applications. We’ll use this package to trigger and send push notifications from our application. In this step, you will install Django-Webpush and obtain the Voluntary Application Server Identification (VAPID) keys that are necessary for identifying your server and ensuring the uniqueness of each request. The next step in setting up web push notifications is getting VAPID keys. These keys identify the application server and can be used to reduce the secrecy for push subscription URLs, since they restrict subscriptions to a specific server. To obtain VAPID keys, navigate to the wep-push-codelab web application. Here, you'll be given automatically generated keys. Copy the private and public keys. Don't forget to replace the placeholder values your_vapid_public_key, your_vapid_private_key, and admin@example.com with your own information. Your email address is how you will be notified if the push server experiences any issues. Next, we'll set up views that will display the application's home page and trigger push notifications to subscribed users. In this step, we'll setup a basic home view with the HttpResponse response object for our home page, along with a send_push view. Views are functions that return response objects from web requests. The send_push view will use the Django-Webpush library to send push notifications that contain the data entered by a user on the home page. The files in this folder are auto-generated by the django-admin utility that you used to create your project in the prerequisites. The settings.py file contains project-wide configurations like installed applications and the static root folder. The urls.py file contains the URL configurations for the project. This is where you will set up routes to match your created views. The home view is decorated by the require_GET decorator, which restricts the view to GET requests only. A view typically returns a response for every request made to it. This view returns a simple HTML tag as a response. 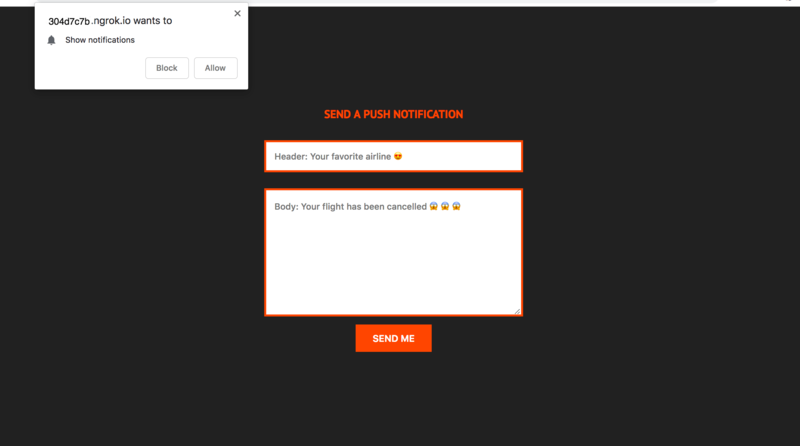 The next view we'll create is send_push, which will handle sent push notifications using the django-webpush package. It will be restricted to POST requests only and will be exempted from Cross Site Request Forgery (CSRF) protection. Doing this will allow you to test the view using Postman or any other RESTful service. In production, however, you should remove this decorator to avoid leaving your views vulnerable to CSRF. We are using two decorators for the send_push view: the require_POST decorator, which restricts the view to POST requests only, and the csrf_exempt decorator, which exempts the view from CSRF protection. This view expects POST data and does the following: it gets the body of the request and, using the json package, deserializes the JSON document to a Python object using json.loads. json.loads takes a structured JSON document and converts it to a Python object. head: The title of the push notification. body: The body of the notification. id: The id of the request user. If any of the required properties are missing, the view will return a JSONResponse with a 404 "Not Found" status. If the user with the given primary key exists, the view will return the user with the matching primary key using the get_object_or_404 function from the django.shortcuts library. If the user doesn't exist, the function will return a 404 error. User: The recipient of the push notification. payload: The notification information, which includes the notification head and body. ttl: The maximum time in seconds that the notification should be stored if the user is offline. If no errors occur, the view returns a JSONResponse with a 200 "Success" status and a data object. If a KeyError occurs, the view will return a 500 "Internal Server Error" status. A KeyError occurs when the requested key of an object doesn't exist. In the next step, we'll create corresponding URL routes to match the views we've created. Django makes it possible to create URLs that connect to views with a Python module called a URLconf. This module maps URL path expressions to Python functions (your views). Usually, a URL configuration file is auto-generated when you create a project. In this step, you will update this file to include new routes for the views you created in the previous step, along with the URLs for the django-webpush app, which will provide endpoints to subscribe users to push notifications. For more information about views, please see How To Create Django Views. Here, the urlpatterns list registers the URLs for the django-webpush package and maps your views to the URLs /send_push and /home. At this point, you can kill the server with CTRL+C, and we will move on to creating templates and rendering them in our views using the render function. Django’s template engine allows you to define the user-facing layers of your application with templates, which are similar to HTML files. In this step, you will create and render a template for the home view. The body of the file includes a form with two fields: an input element will hold the head/title of the notification and a textarea element will hold the notification body. In the head section of the file, there are two meta tags that will hold the VAPID public key and the user's id. These two variables are required to register a user and send them push notifications. The user's id is required here because you'll be sending AJAX requests to the server and the id will be used to identify the user. If the current user is a registered user, then the template will create a meta tag with their id as the content. The next step is to tell Django where to find your templates. To do this, you will edit settings.py and update the TEMPLATES list. webpush_settings: This is assigned the value of the WEBPUSH_SETTINGS attribute from the settings configuration. vapid_key: This gets the VAPID_PUBLIC_KEY value from the webpush_settings object to send to the client. This public key is checked against the private key to ensure that the client with the public key is permitted to receive push messages from the server. user: This variable comes from the incoming request. Whenever a user makes a request to the server, the details for that user are stored in the user field. The render function will return an HTML file and a context object containing the current user and the server's vapid public key. It takes three parameters here: the request, the template to be rendered, and the object that contains the variables that will be used in the template. With our template created and the home view updated, we can move on to configuring Django to serve our static files. You can now add the STATIC_URL to the list of paths defined in your urls.py file. With our static files settings configured, we can move on to styling the application's home page. After setting up your application to serve static files, you can create an external stylesheet and link it to the home.html file to style the home page. All of your static files will be stored in a static directory in the root folder of your project. Again, you can kill the server with CTRL+C. Now that you have successfully created the home.html page and styled it, you can subscribe users to push notifications whenever they visit the home page. 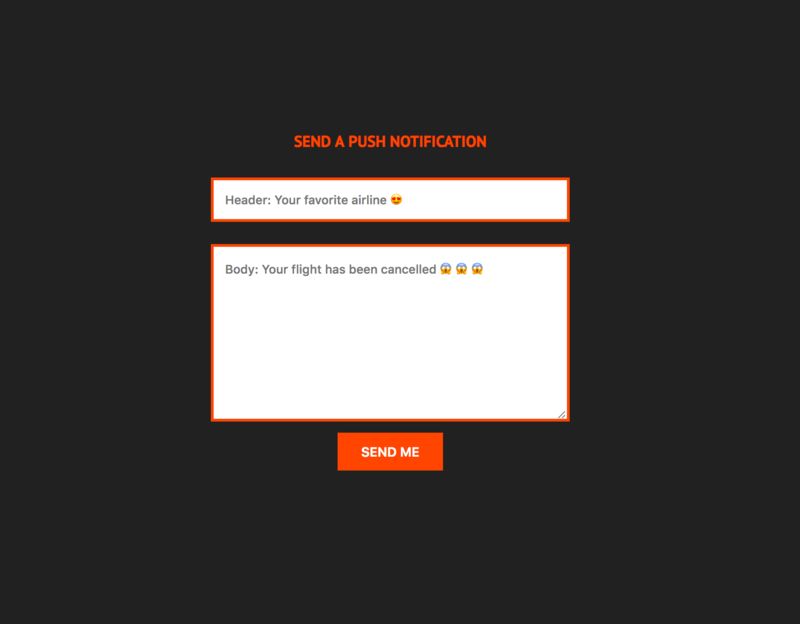 Web push notifications can notify users when there are updates to applications they are subscribed to or prompt them to re-engage with applications they have used in the past. They rely on two technologies, the push API and the notifications API. Both technologies rely on the presence of a service worker. A push is invoked when the server provides information to the service worker and the service worker uses the notifications API to display this information. We'll subscribe our users to the push and then we'll send the information from the subscription to the server to register them. First, the registerSw function checks if the browser supports service workers before registering them. After registration, it calls the initializeState function with the registration data. If service workers are not supported in the browser, it calls the showNotAllowed function. Whether or not the user has enabled notifications, using the value of reg.showNotification. Whether or not the user has granted the application permission to display notifications. Whether or not the browser supports the PushManager API. If any of these checks fail, the showNotAllowed function is called and the subscription is aborted. The showNotAllowed function displays a message on the button and disables it if a user is ineligible to receive notifications. It also displays appropriate messages if a user has restricted the application from displaying notifications or if the browser doesn't support push notifications. Calling the pushManager.getSubscription function returns the data for an active subscription. When an active subscription exists, the sendSubData function is called with the subscription info passed in as a parameter. When no active subscription exists, the VAPID public key, which is Base64 URL-safe encoded, is converted to a Uint8Array using the urlB64ToUint8Array function. pushManager.subscribe is then called with the VAPID public key and the userVisible value as options. You can read more about the available options here. The save_information endpoint requires information about the status of the subscription (subscribe and unsubscribe), the subscription data, and the browser. Finally, we call the registerSw() function to begin the process of subscribing the user. Because a service worker doesn't yet exist, if you left your application running or tried to start it again, you would see an error message. Let's fix this by creating a service worker. To display a push notification, you'll need an active service worker installed on your application's home page. We'll create a service worker that listens for push events and displays the messages when ready. Because we want the scope of the service worker to be the entire domain, we will need to install it in the application's root. You can read more about the process in this article outlining how to register a service worker. Our approach will be to create a sw.js file in the templates folder, which we will then register as a view. // Register event listener for the 'push' event. // Retrieve the textual payload from event.data (a PushMessageData object). // Keep the service worker alive until the notification is created. The service worker listens for a push event. In the callback function, the event data is converted to text. We use default title and body strings if the event data doesn't have them. The showNotification function takes the notification title, the header of the notification to be displayed, and an options object as parameters. The options object contains several properties to configure the visual options of a notification. For your service worker to work for the entirety of your domain, you will need to install it in the root of the application. We'll use TemplateView to allow the service worker access to the whole domain. You have now created a service worker and registered it as a route. Next, you'll set up the form on the home page to send push notifications. To listen for the submit event of the form and send the data entered by the user to the server, we will create a file called site.js in the ~/djangopush/static/js directory. The pushForm function gets the input, textarea, and button inside the form. It also gets the information from the meta tag, including the name attribute user_id and the user's id stored in the content attribute of the tag. With this information, it can send a POST request to the /send_push endpoint on the server. error = "Are you sure you're logged in? 🤔. Make sure! 👍🏼"
If the three required parameters head, body, and id are present, we send the request and disable the submit button temporarily. At this point, if you left your application running or tried to start it again, you would see an error, since service workers can only function in secure domains or on localhost. In the next step we'll use ngrok to create a secure tunnel to our web server. Service workers require secure connections to function on any site except localhost since they can allow connections to be hijacked and responses to be filtered and fabricated. For this reason, we'll create a secure tunnel for our server with ngrok. You will need to do this before creating a secure tunnel for your application. Copy the ngrok_secure_url from the console output. You will need to add it to the list of ALLOWED_HOSTS in your settings.py file. 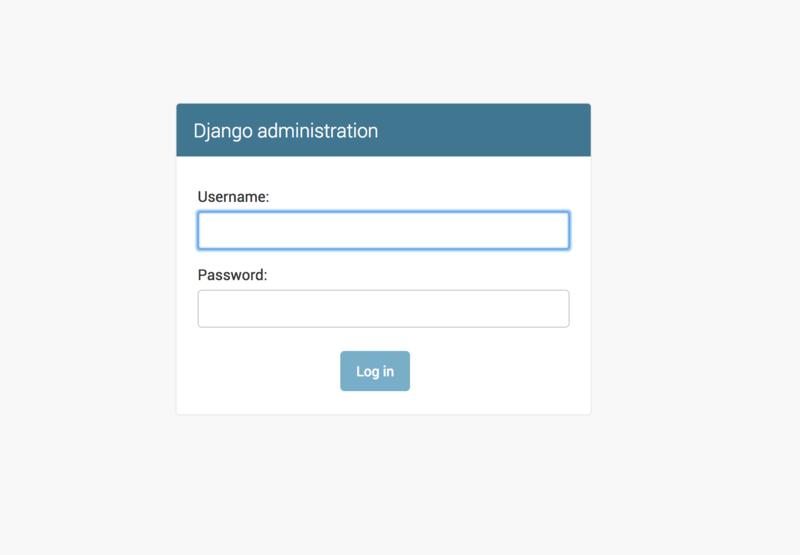 Enter your Django admin user information on this screen. This should be the same information you entered when you logged into the admin interface in the prerequisite steps. You are now ready to send push notifications. Note: Be sure that your server is running before attempting to send notifications. If you received notifications then your application is working as expected. 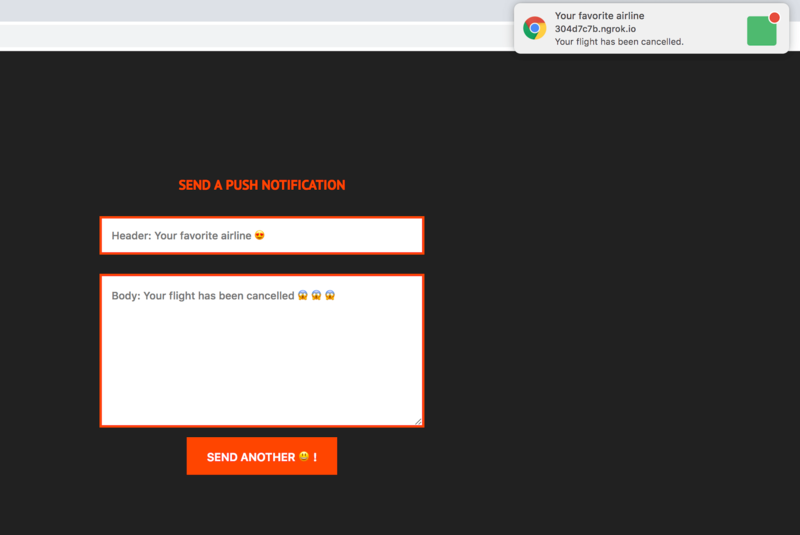 You have created a web application that triggers push notifications on the server and, with the help of service workers, receives and displays notifications. You also went through the steps of obtaining the VAPID keys that are required to send push notifications from an application server. In this tutorial, you've learned how to subscribe users to push notifications, install service workers, and display push notifications using the notifications API. You can go even further by configuring the notifications to open specific areas of your application when clicked. The source code for this tutorial can be found here.